The UNIT personel leaving the Black Archive for the night is 'played' by Jack Harkness in RAF uniform. Part one was posted 27 January, by accident this also included the link at the end of page four to episode two, but part two proper was posted on 23 February. This and another 10th Doctor story Forget Me Nots was filmed and edited in early 2008 and held in reserve in case there became a gap in the AFT schedule that needed to be filled. With the news that David Tennant was about to leave the series, the time has come to post these stories. In fact some privileged fans (including folks at Character and Design Works) have already seen them in a printed compendium along. Forget Me Nots which will see publication online soon. 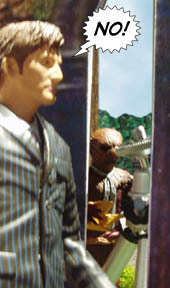 The story had been on the cards for sometime, since 2007 when the Autons figures were first announced. Back when the story was developed, the AFT was having a break and investigating new ways of story telling, including Dr Who Adventures-style story synopses. This version featured Rose but thankfully, this way of doing stories was never pursued. 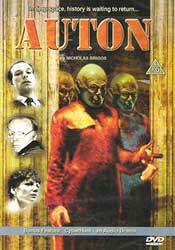 The idea of Autons in a UNIT warehouse must have come from the 90s BBV produced series AUTON which began very similarly to this story. 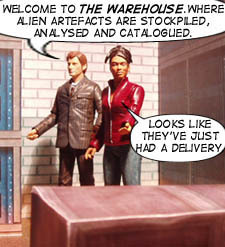 Coincidentally, a story featuring Autons in a Warehouse also appeared on Dr Who Adventures In Pictures. Filming began on 26th Jan 2008 with the office and landing, the office set using the same walls as our UNIT lab. The warehouse scenes were shot over 26th and 27th January. 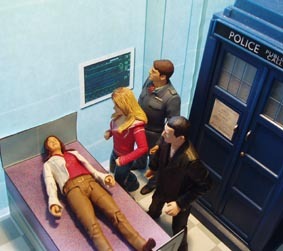 Remaining shots were completed on 15 Feb 08 using new Primeval figures for the 'general public' scenes. The shot in the hospital uses the same set as closing scene of The Axis of Fear and was shot at the same time (left). 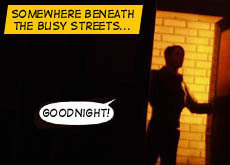 Long after the original story was shot and edited, the Sarah Jane Adventures took us to UNIT's store house called The Black Archive. The coincidence was too good to pass up and so I adopted the mantle as the location for my story, altering a couple of frames accordingly. Unfortunately, the frame showing the Auton's signal being sent still shows the epicentre to be in the heart of the West End. This is not the last we've seen of the Black Archive on the AFT as you will see in a forthcoming Sarah Jane episode. There are no major continuity links with other stories apart from the presence of the Autons from a previous invasion- probably from Rose, though it's never specifically stated.